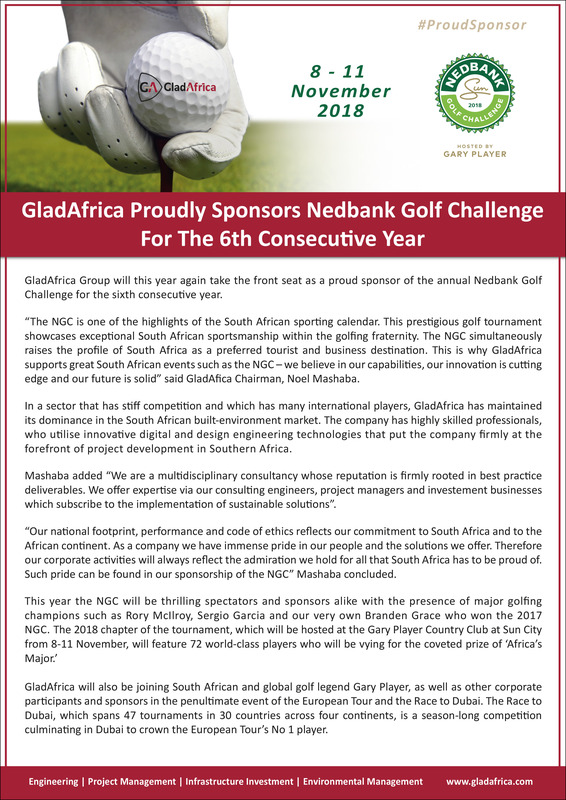 GladAfrica has noted the resolution of the Tshwane Metropolitan Municipality Council to initiate an investigation into the process which resulted in our appointment to provide project management support to the City. We welcome the Council resolution as we believe this will put to rest any doubt regarding the process followed. We offer our full cooperation and support to the process. GladAfrica Group has noted the statement of clarification made by the City of Tshwane this morning, regarding processes undertaken in the appointment of the Programme Management Unit (PMU). We are vindicated by the city’s declaration that the appointment process was above board and no irregularities were committed.